ACCIDENT FREE. 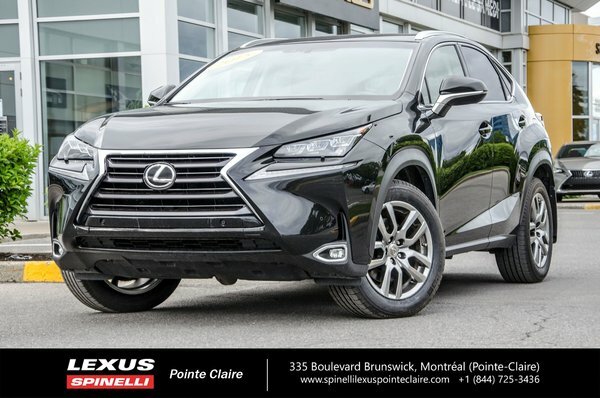 AWD, GPS, MOONROOF, REAR BACKUP CAMERA / SENSORS, BLIND SPOT MONITOR, LED HIGH BEAM, REAR CROSS TRAFFIC ALERT, PREMIUM LEXUS AM/FM/CD/USB/BLUETOOTH AUDIO W/ 10 SPEAKERS, PREMIUM LEATHER INTERIOR /WOODGRAIN TRIM, ELECTRIC / HEATED AND VENTILATED FRONT SEATS, DRIVER MEMORY SEAT, LEATHER / HEATED AND POWER TILT / TELESCOPIC STEERING WHEEL, RAIN SENSING WIPERS AND MORE!! Open on week nights and Saturdays. Just a few minutes from downtown Montreal. Financing available 100% approval rate on 1st, 2nd and 3rd chance. Vehicle inspected by our certified technicians. Carproof available. Best price warranty. Come see the vehicle and benefit from our friendly and stress-free service. And if you ever change your mind, you have 5 days or 300 km to bring back your vehicle and get a different one from our 300+ cars (See details at the dealer).